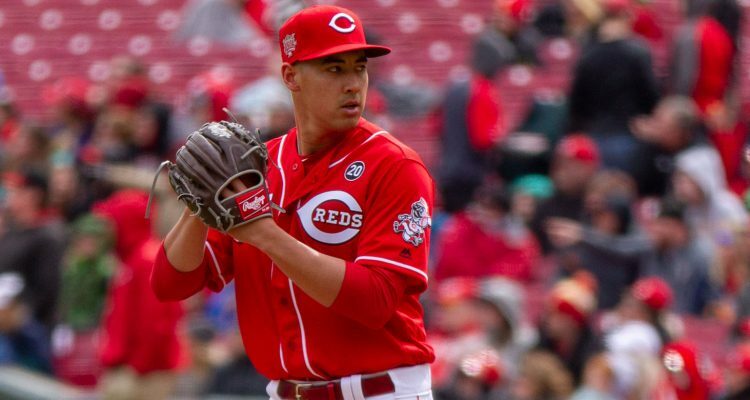 There’s a lot of opinions out there on Cincinnati Reds pitcher Robert Stephenson. Originally drafted in 2011, he feels like he’s been around forever. As a first rounder, people have heard about him, and been told to expect a lot from him, for a very long time. To this point in his career, he hasn’t quite delivered on the promise that he once showed as a prospect. He’s teased at times, showing the potential that’s always been there. But he’s also struggled. Most of those struggles were related directly to his ability to throw strikes. He’s missed bats at just about every level. The stuff wasn’t the problem. The control, at least when he was struggling, was. This spring he missed time as he dealt with a slight shoulder issue at the start. When he was ready to go there wasn’t much time remaining in spring training. And he was also out of options. The Reds opted to keep him on the 25-man roster rather than buy time by placing him on the injured list and sending him out on a rehab assignment. There was a lot of talk about whether that was the right idea – but so far it’s been about as good of an idea as possible. 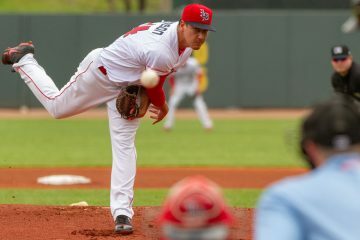 Last night Robert Stephenson pitched two perfect innings against the Los Angeles Dodgers. That dropped his ERA to 0.96 on the season through his six appearances and 9.1 innings. He’s allowed three total hits this year – the last of which coming on April 2nd. He’s walked all of one batter – also on April 2nd. In five of his six appearances he has struck out multiple batters, giving him 12 strikeouts on the season. His 12 strikeouts and one walk have given him a strikeout-minus-walk-percentage of 34.4%. Among qualified relievers at this VERY EARLY point of the season, that’s the 13th best mark in the league among the 198 relievers. Teammate Amir Garrett ranks 18th, just as a fun fact. Stephenson is missing more bats than he’s ever missed before in the Major Leagues. But he’s also not walking anyone. That’s almost always a recipe for success. One of the differences is that he’s being used out of the bullpen this season. It’s not the first time he’s pitched out of the bullpen – he began 2018 in the bullpen, too. But Bryan Price was hesitant to use him and he would go 4-5 days between being used and while it’s pure speculation, the numbers do back up that he performed much worse when he went long periods without being used than he had when he was used more frequently. This season he’s throwing harder than ever before (in the Majors). His fastball is averaging 94.9 MPH this season – up from 93.7-94.2 in the previous three seasons (in the Majors). The uptick in velocity could certainly be helping – the pitch has been far more successful than at any point in his past. Looking at the Fangraphs pitch values tab, his fastball has been very poor throughout his Major League career. The value of his fastball per 100 fastballs thrown has been at -1.91 runs, -1.84 runs, and last season -6.70 runs. This season, and again – SMALL SAMPLE SIZE – the fastball is worth +0.87 runs per 100 thrown. That’s an enormous difference. Among qualified relievers that ranks 76 out of 198. However, it’s the slider that’s changing games. There’s talk out there that Robert Stephenson is hard-headed, uncoachable – or at least that’s been the talk in the past among Reds fans. I’ve always argued that while there could be some sort of truth to it, that it’s definitely not entirely true. Case-and-point: Robert Stephenson didn’t have a slider for a large part of his minor league career. He also didn’t have a split-fingered fastball. Both pitches are now huge parts of his repertoire. His slider in 2017 was a well-above average offering in the Major Leagues. It’s value per 100 thrown was 2.14. Last season the sample size for his time in Cincinnati was just 11.2 innings, so take this with a grain of salt, but the slider’s value was below-average at -0.55. At the same time, this season is basically the same sample size, his slider has been worth an absurd +6.81 runs per 100 sliders thrown (he hasn’t thrown 100 sliders). That makes it the 8th best slider among relievers in baseball to this point in the season. The slider has changed over the last several seasons. From 2017 to 2018 the pitch added a bit more depth and a bit more fade away from right-handed hitters. It did the same thing from 2018 to 2019. From 2017 to 2019 the slider has picked up nearly 2 inches of movement away from righties on the horizontal plane. It’s picked up nearly 2 inches of depth on the vertical plane in that time, too. That’s led to a 34.3% whiff percentage on the pitch according to Brooks Baseball. That’s up from 24.3% in 2017. It’s not just the movement that has increased on the slider for Robert Stephenson, though. He’s also increased the rate at which he throws it. That’s not terribly surprising as he’s gone from starter to reliever, which usually means guys focus on fewer pitches. In 2017 Stephenson threw his slider 19.6% of the time. Last year, in a very limited sample size, he threw it 40.1% of the time. This year it’s up to 50.8% of the time. He’s essentially scrapped the curveball entirely, and cut back on both the fastball usage and split-finger usage. And so far, it’s been working. It’s really been working. I’m certainly not the first person to write about Robert Stephenson this year. Matt Wilkes wrote about him a week ago at Redleg Nation. Wilkes gets pretty detailed on some things, so if you are looking for a true deep dive into some numbers, go give it a read. May need to think about making him the closer the way Raisel is going? Bobsteve’s two innings last night has been the highlight of his whole career. For the first time since A ball and his like 3rd stent at AAA he is having success. Be crazy to try to move him back to rotation! Reds have 5/6 starters before he’s even in the conversation and look at the Yankees mimicking the royals doing every thing possible to get a lights out back end bullpen- he adds tons of value where he’s at. Many top 30/40 prospects like hader and garrett and bobsteve end up in pen. Embrace it and embrace his success where he’s at. Not his whole career, just his short ML career to date. I seriously doubt he’ll be hanging his hat on his performance last night. Stephenson could be another Jake Arrieta just waiting to happen. I agree cguy. No reason to waste good arms like Raisel or Chapman in the pen unless you have to. LOL. There are posters at this site who would say Peraza @ ss is even worse than Winker @ cf. I say no . Peraza may be a marginal ss, but Winker is way outside of the margins. Winker was fine in CF last night. His vastly improved command is making a bigger difference, in my opinion. Does anyone think that adding Keuchel and Kimbrell (along with the returns of Scooter, Wood, and Senzel) could possibly salvage this season? Or is this just another blown year where all we can do is brag “We beat the Marlins”? ?